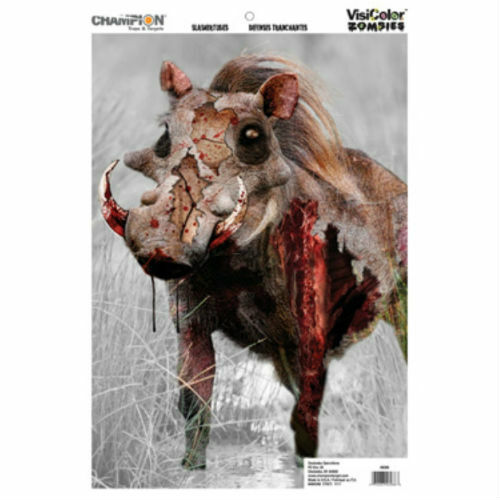 The Champion VisiColor Zombie Slasher Tusks Target is a great way to practice your Zombie-stopping skills with this new line-up of fun and engaging reactive targets. 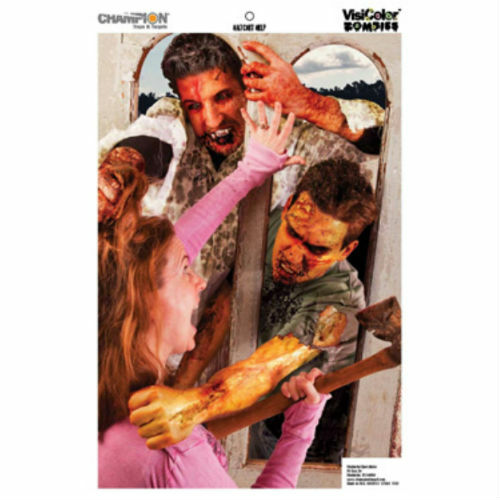 Using vivid, movie-quality, digital imagery, no other Zombie targets on the market are quite like them. 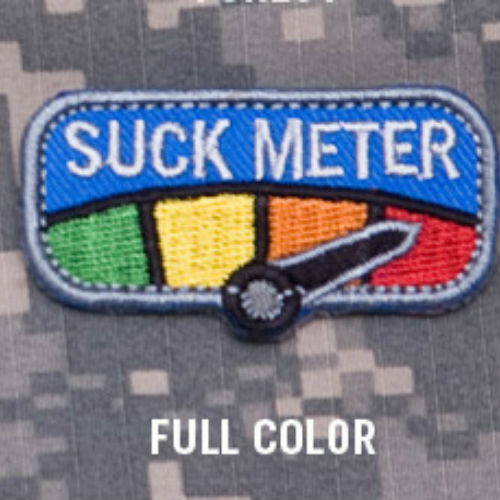 Targets are 12"x18" 50 pack.